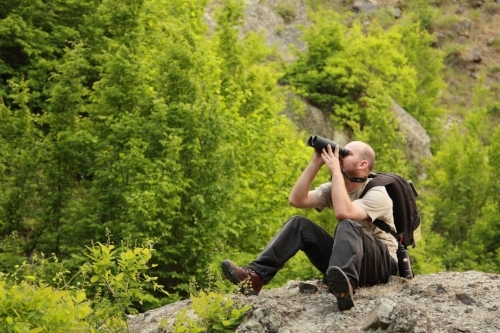 It’s no secret that Oklahoma is a major destination for bird watching enthusiasts, with tons of opportunities to spot rare birds in McCurtain County. There over 300 bird species to be seen in the area and enough parks keep you busy whether you’re here for a weekend or for an extended stay. Just 6 miles from Broken Bow, Beaver's Bend State Park is home to a variety of species and plenty of trails. Be sure to pop in at the park office to get a bird checklist and tick off your sightings! Shimmering Broken Bow Law and tons of pine and hardwood trees lend to the stunning scenery in this area. Although it’s a bit of a farther drive than Beaver’s Bend, a visit to Red Slough Wildlife Management Area is guaranteed to leave you floored by the park's natural beauty. With nearly 6,000 acres of wetland terrain, Red Slough is a nationwide destination year-round for bird watchers and nature enthusiasts. You won’t see them flying above but you may even come across an alligator on your trek. Red Slough is the only area in Oklahoma that alligators have been known to breed! Birds commonly spotted in the fall and winter months include the Hermit Thrush, Winter Wren, Black Vulture, and the Pine warbler, to name a few. Bald eagles have also been recorded regularly in the area this time of year through Winter. Eagle watching kicks off at Beaver’s Bend State Park in November and runs through February. Curious about what other species you can expect to find here? Check out this list to get an idea. Tiny Town OK RV Park and Cabins serves as the perfect home-base for your bird watching trips in and around Broken Bow, Oklahoma. Nestled in a wooded area, our facility can accommodate RVs and has 4 cozy, tiny home rentals available. Make a reservation today to discover all that McCurtain County has to offer!